A few days ago Google released a free iPad app that allows you to control your computer using your iOS devices ( iPad or iPhone). But to use this app you will need to install the popular “Remote Desktop” extension on your Chrome. 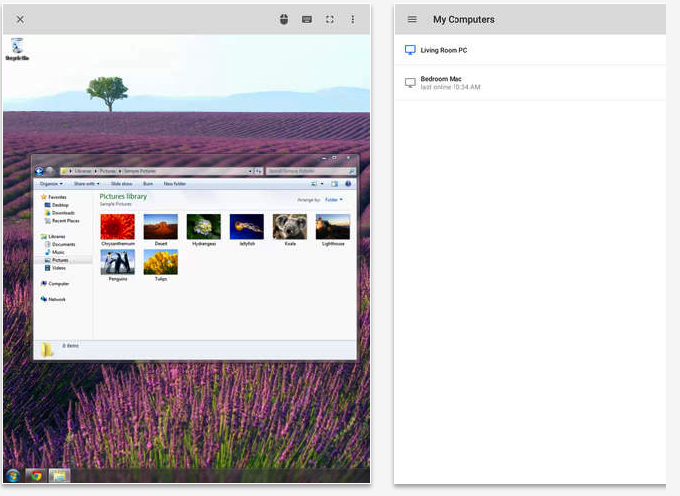 Chrome Remote desktop extension is an add-on that we have reviewed here in several instances. It basically allows users to remotely access another computer through Chrome browser or a Chromebook. Computers can be made available on a short-term basis for scenarios such as ad hoc remote support, or on a more long-term basis for remote access to your applications and files. All connections are fully secured.